As part of Industry Revolution 4.0, Artificial Intelligence becomes one of the key areas to be developed, where resources are seen to be heavily invested in this area. Recently, the APU Careers Centre, in collaboration with goSMAC and the School of Computing, organized a career talk titled “The Geeks Shall Inherit the Earth”, which discussed on Artificial Intelligence and the ways it could change the world. 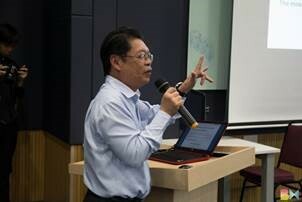 The speaker, Michael Lai, holds an impeccable profile within the tech industry. In his career, he held high positions in technology companies such as the CEO of TM Net, Malaysia and Senior Vice President of Celcom, Malaysia. Now, he is the Technopreneur for goSMAC and leads his team who are eager to reach out to students in terms of bringing industry exposure. In his engaging session with students, there were many references to AI and the business elements of running his own Tech & IT Company. 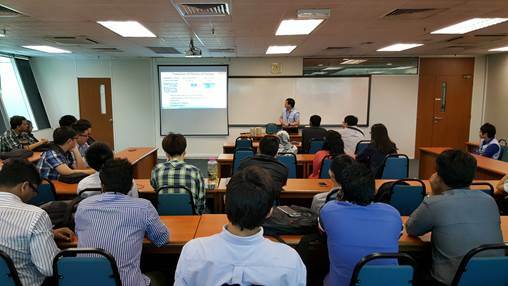 Michael shared case studies and experience in Social, Mobile, Analytic & Cloud (SMAC) platforms, in which he gave exposure to the students on the world of possibilities within the industry. 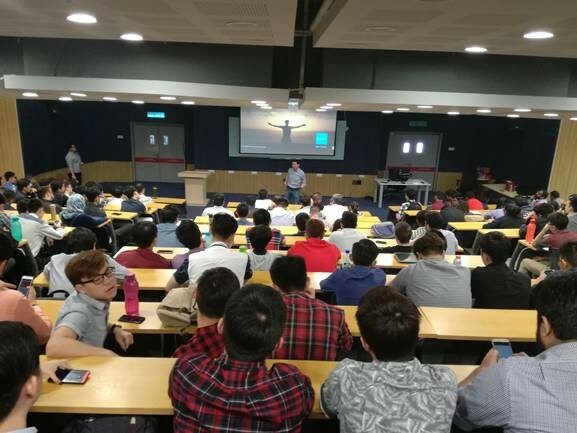 The talk by Michael provided great insights on the opportunities available, in line with the Industrial Revolution 4.0, which is about to take place as a global phenomenon. It was a great initiative by APU Careers Centre and the faculty, to deliver talks that provide extensive industrial exposure to our students. 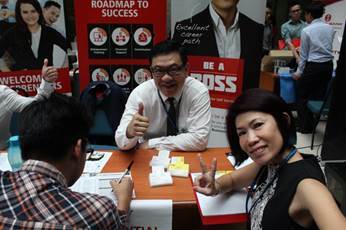 Followed by the launch of the Talent Ready Integrated Graduates Employability Smart System (TiGrESS) that took place at APU previously, we are pleased to share that APU is now on board to adopt the system, in which our students and alumni are able to interact with potential employers and companies. The system, developed by ICONIX Consulting, is an integrated Triparty Graduate Employability Management Services platform. A MoU was signed earlier this month by Prof Ron Edwards, Vice-Chancellor, in conjunction with the Together Gather 2017 forum, that was organized by the Ministry of Higher Education to discuss problems and solutions in relation to employability. 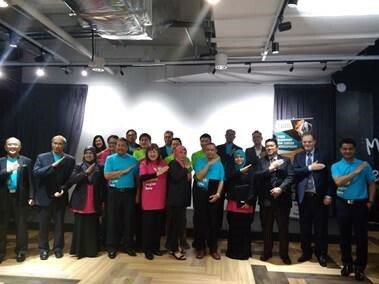 The ceremony was also witnessed by YB Datuk Dr Mary Yap Kain Ching (Deputy Minister of Higher Education), Norhizam Hadir (Vice President, Growth Ecosystem Development, MDEC) and Associate Prof Dr Arham Abdullah (Director, Industry Relation Division, Ministry of Higher Education). In line with the implementation of the system, we look forward to seeing our students being exposed to the vast opportunities for jobs and internships in the market, through the system that encourages interaction and knowledge sharing, we hope that our students are able to benefit by being more well-equipped as graduates later on. On Wednesday, 24 August 2016, the APU Careers Centre organised a Career Day at APU Campus @ TPM, to provide opportunities to current students who are seeking for job opportunities as well as internship placements. 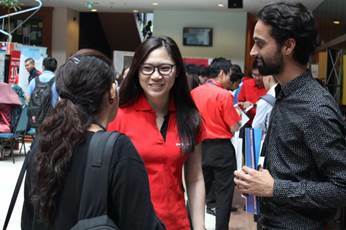 Over 30 companies took part in the career exhibition, including some renowned multinational companies such as DHL, Hewlett Packard (HP), Toshiba, HILTI and more. We were happy to see some of our alumni who returned to APU as representatives from their companies as well! For instance, we spotted Michelle Loh Yee Teng, who graduated in May 2016 from the BSc (Hons) in Information Technology (Business Information Systems) programme representing her current employer, HILTI Asia. The Career Day is an ongoing initiative by the APU Careers Centre, in which it acts as a bridge between potential employers, students and alumni, to fulfill the demand of the current job market, as well as to ensure that our students remain highly employable through exposure to different internship opportunities and job openings. 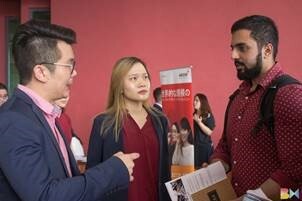 The Chinese Chamber of Commerce & Industry of Kuala Lumpur & Selangor (KLSCCCI) organised a joint career day with APU Careers Centre & APIIT Corporate Training in APU Campus @ TPM recently. The career day comprised a series of activities that exposed students towards potential internship and career opportunities, such as career exhibition, on-the-spot interview and career talks. 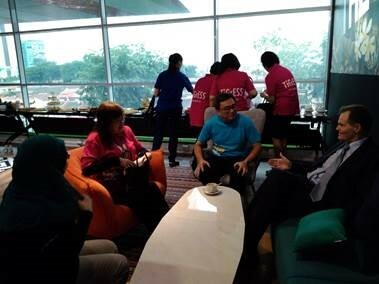 There were 10 companies that participated in the exhibition, namely App Lab Sdn Bhd, Cornet Research Sdn Bhd, CALMS Technologies, CTApps MSC Sdn Bhd, MyKris Asia Sdn Bhd, iTrain (M) Sdn Bhd, Kakitangan.com, ServerWare Sdn Bhd and Masjaya Land Sdn Bhd. 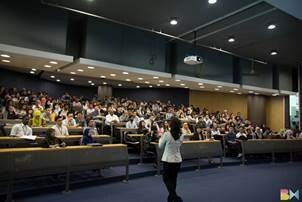 The highlight of the event was a 1-hour career talk by KLSCCCI and its member companies. 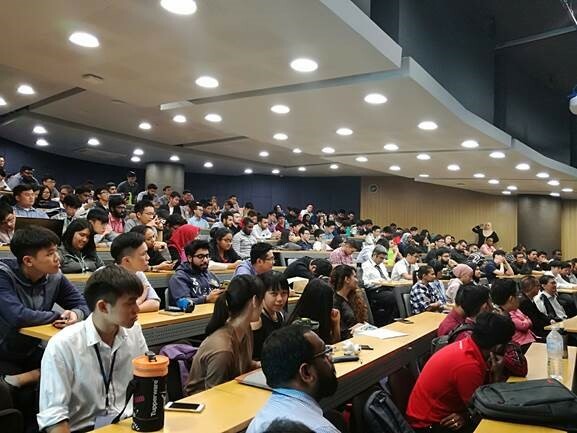 Over 200 students attended the talk, to gain an overview of KLSCCCI’s roles in the industry, as well as the job openings and internship opportunities available at its member companies. This time, KLSCCCI went further by introducing the association through a video presentation during the talk, and encouraged APU students and graduates to join the association to embark on an early entrepreneurship journey by networking with the association’s members. 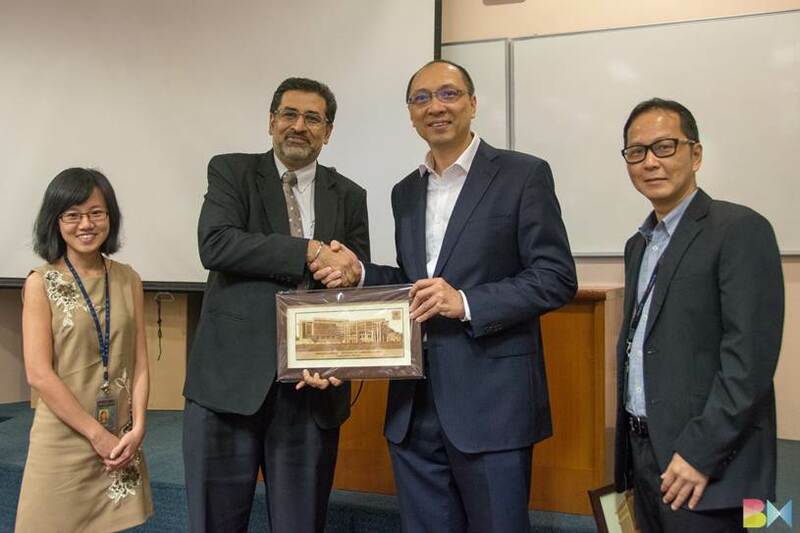 The talk was honoured by the presence of Lee Yew Chen, Chairman, ICT Division, Kuala Lumpur & Selangor Chinese Chamber of Commerce and Industry (KLSCCCI) alongside Gurpardeep Singh, Vice President, Operations. Through this joint effort, let’s look forward to fostering a better relationship among both parties, to provide more career and internship opportunities for our students. A Career Day which involved over 40 local and international corporations took place on the 23rd of June and the 25th of June at APU Campus, TPM and Faculty of Business & Management (FBM), Mines respectively. The event that was organised by APU Careers Centre saw participation of prestigious companies, such as Alliance Bank, Top Glove, Mediasoft, Public Bank, Fusionex, Sony EMCS and more. 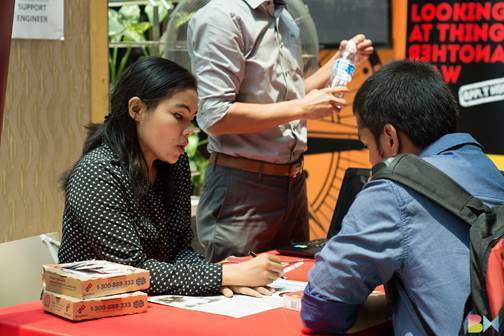 The main objective of the event was to provide APU students with the opportunities to participate in on-the-spot interviews with potential employers, which is essential for them to secure internship and career opportunities in the respective companies. 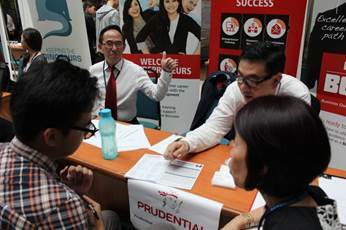 Apart from the exhibition booths, career talks also took place in the classrooms; in which students were given the opportunities to understand more about the companies’ background, as well as to be exposed to the academic requirements, personalities and traits needed to secure a job in the respective companies. It was a great effort being put in by APU Careers Centre in organising the career days; we look forward for more events of such nature, which are beneficial for all current APU students in terms of increasing their employability and enhancing their professionalism.